This high quality chargrill by brand leaders Blue Seal is perfect for cooking meats and veg to perfection with the added bar marks. It features stainless steel U-burners inclined position to reduce flare and enhance grease run. Lift out grates, radiants and baffles for easy cleaning and maintenance. 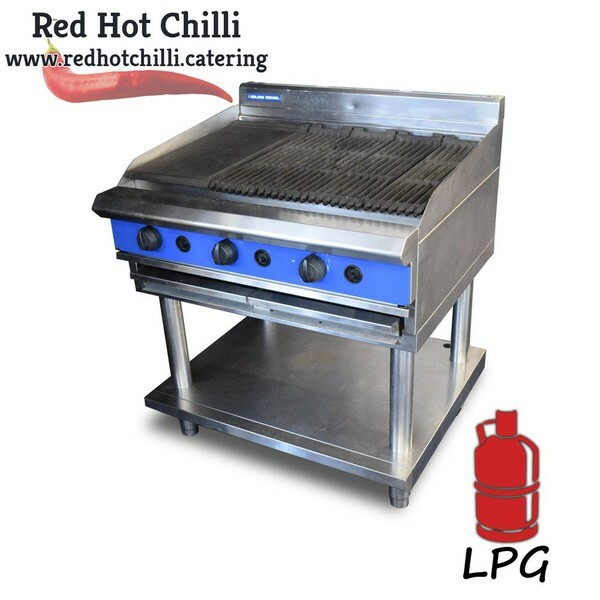 It also has reversible heavy duty top grates, heavy duty control knobs and four grates and one griddle plate which provide added versatility to your kitchen or food service location.